And the winner of Sonic Adventure for PSN is…… homietheclown! How wonderful! Up this week is a copy of Micro Machines for the Sega Genesis. If you don’t already know Micro Machines is an incredibly fun racing game and one of my favorite multiplayer games on the system. You drive little toy cars! 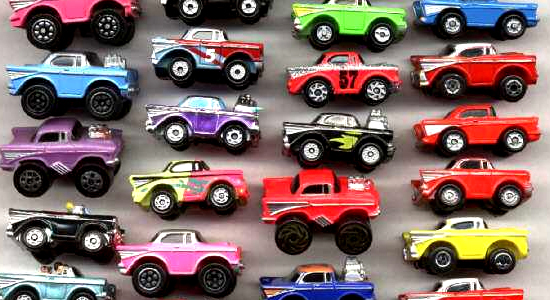 Speaking of toy cars which did you play with more Micro Machines or Hot Wheels? Congratulations to our Hatsune Miku contest winners! Contest: Win Typing of the Dead: Overkill! Wow, I remember playing that game with my brother. It was really fun. Nice. This was an amazing game. I’m gonna say it stacks up there with great multiplayer racers such as Rock ‘N’ Roll Racing. So this is the physical copy of Micro Machine cartridge? Yeah this is for the Genesis cartridge.